The above is a hi-res file that will reveal more detail when you zoom in. Please allow a few seconds for loading. For a smaller JPG file, click here. 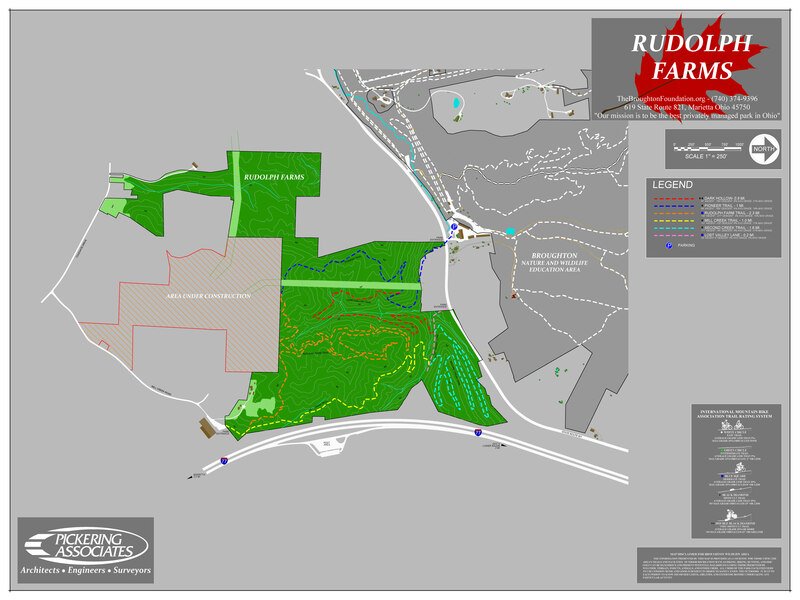 Rudolph Farms trails shown below link the Marietta Trail System with our trails and the Devola Multi-Path. Most of our trails have been mapped and uploaded to the REI Hiking Project website. Use the Hiking Project app to find your position on our trails and search for other hiking trails around the USA. Our thanks to Ryan Smith of Marietta Adventure for mapping our trails. 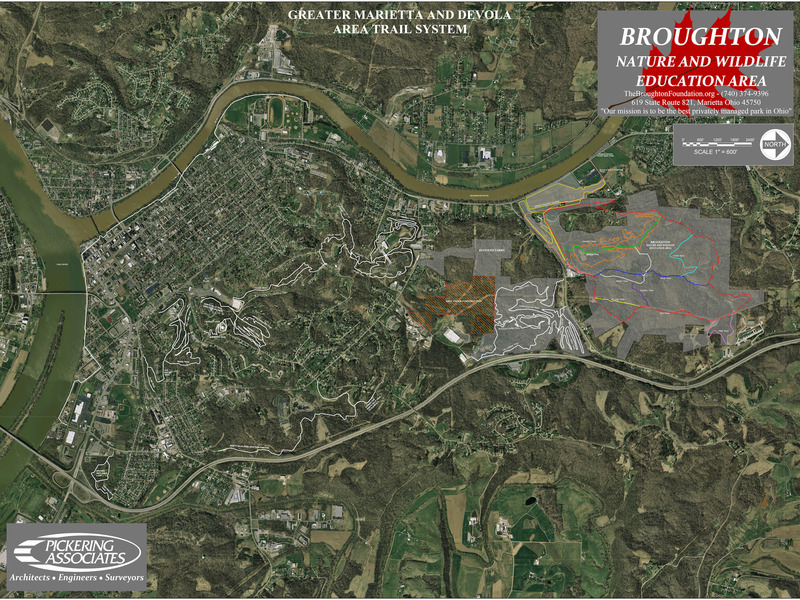 Click on the map below and zoom out to see more local trails. See MTB trails at the REI MTB Project website. 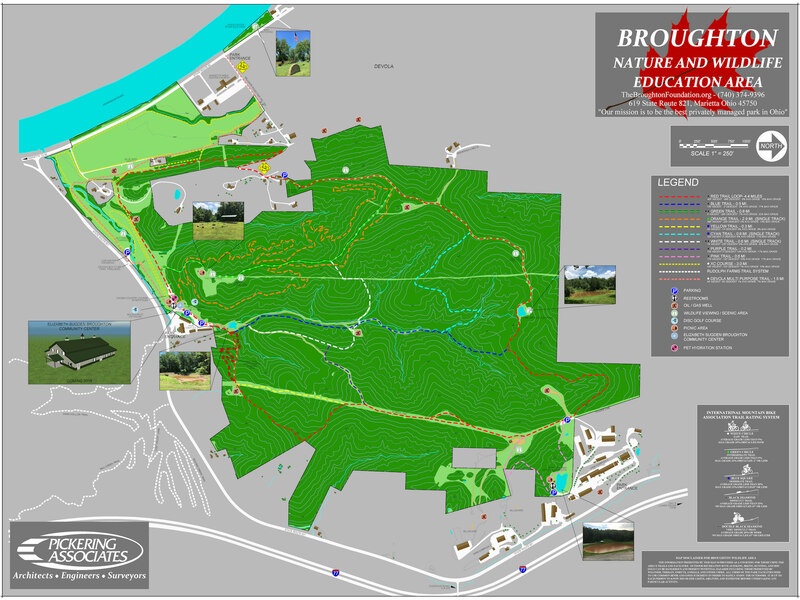 Visit the Disc Golf page for Big Buckeye Disc Golf Course map.